Random Access Memory is a pretty amazing thing. It is insanely fast and, with current technological advances, comes in pretty huge sizes too. However, there is just one problem. RAM is sadly volatile. Which means that as soon as electricity is cut to the RAM, the data on the ram goes into a black hole. However, AgigA has just introduced what is probably the world’s first Non-Volatile DDR4 Memory Module. A technology that could show the door to conventional HDDs and even SSDs in the future. Now this is pretty exciting stuff, but there is a very slight catch to the entire affair. Thing is, AgigA’s Non-Volatile memory modules don’t actually consist of non-volatile RAM, the consist of the plain ol’ Ram found in nearly every other PC ( if you ignore the fact that its DDR4). However, it contains something that is not found in every other ram, and it is this something that allows AgigA to market the RAM as non-volatile without incurring the wrath of consumers. Basically there is a dedicated IC and some ‘super capacitors’ that have been put to very good use. When electricity is cut to the ram, the super capacitors kick in and current is maintained just long enough for the Ram to dump its entire data onto a specially designed flash memory. That way, when the power comes back on, the data is copied back onto the ram in a matter of seconds and you technically have a ‘non-volatile ram’. So what exactly can we do with non-volatile ram? Well the applications are practically infinite. Let me begin with a simple example first. You might remember back in 2011 when an IBM AI named Watson, absolutely blew all competition away in the show Jeopardy; going home with a 1 Million Dollar Prize. Well, not many people know it, but the actual reason of Watson’s success was that it could process 500 GigaBytes per second. The bottleneck didn’t lie with processors either, since our silicon technology is very efficient at number crunching. No, the real challenge was storage. Conventional HDDs were super slow and it would have taken Watson hours just to answer a single question. IBM’s engineers solved the problem by using RAMs instead of HDDs as the primary storage medium. It had a capacity of 16 Terabytes consisting entirely of RAMs, which allowed Watson to sift through its entire data dump in a maximum of 32 seconds. That, is a mind bogglingly huge number I might add, since this contained the entire text of Wikipedia among other things. 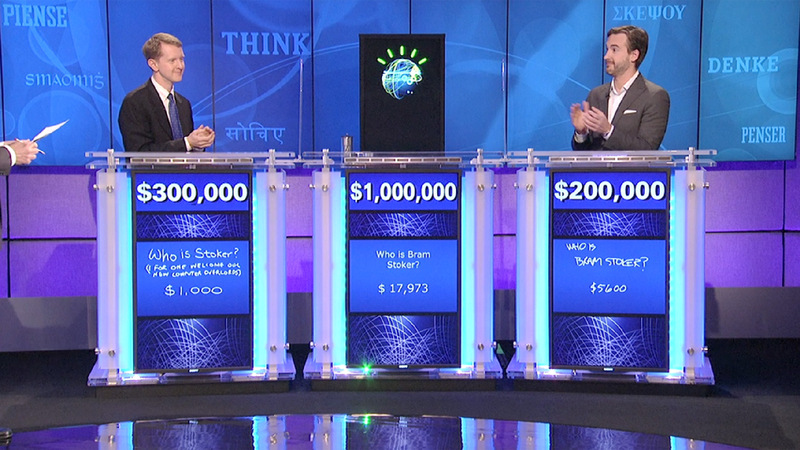 Now ofcourse, this plan was only feasible because the stakes weren’t that high and IBM could ensure uninterrupted power supply to Watson’s server cluster for the entirety of the show. It would have gotten awkward pretty fast if power had been interrupted to Watson’s servers for even a second. In modern data centers, a setup like this would be mostly unacceptable since a single second of blackout would result in Terabytes of data lost irrecoverably. DDR4 RAMs usually make SSDs look like they are crawling along at a snails pace (here is an outdated article I did on RAMDisk) but because of their inherent volatility you cant boot an OS from them and therefore they cannot serve as the primary storage medium. This is where AgigA DDR4 RAM steps in. I don’t know how fast an OS would boot from a DDR4 RAM, but I am guessing it would be instantaneous (if you minus the seconds it takes for the IC to copy the data from the flash memory to the RAM). Games would have no loading times at all since the entire game is technically in the RAM. The storage medium would be utterly eradicated as a bottleneck and our Big Data problems could take a massive leap forward. However, in this case there might be a disadvantage too. See, we have no idea about the specs of the flash, the capacitors etc. Will the super capacitors experience any significant level of electro migration? and as such will they ever fail, resulting in complete data loss? How reliable is the copy circuit and is there a possibility of redundancy errors during the transfer process? It is because of questions like these that AgigA RAM Modules have a long road ahead of them. NVDIMM solutions that utilize other methods such as a UPS system have existed in the Industry but none of them would be as secure and reliable as this is claimed to be. If they are half as good as they say they are, we might as well be seeing a revolution in storage tech in the next decade or so.